Hello. My name is Michelle, and my Ultimate Bias is Kim Kyu Jong of SS501. Now that we have that out of the way, it’s time to fill you in on why he doesn’t have his own, special profile on the site. We were deciding today what to do about Kpop idol groups who have members that debut as solo artists – where do we put them? What counts as debuting as a solo artist? How do we tell you about their stuff? SS501 is a perfect example because 4 out of 5 members have debuted as solo artists: Park Jung Min, Kim Hyung Joon, Heo Young Saeng, and Kim Hyun Joong. 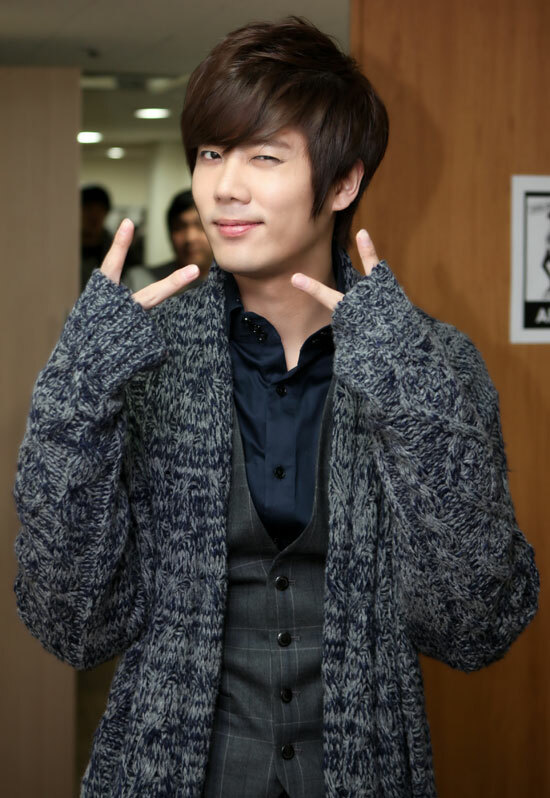 Kim Kyu Jong has not debuted as a solo artist, although he has decided to be in the Japan production of the musical Goong. So, as CeeFu was putting up information for Heo Young Saeng, I began to pout: everyone’s going to get a profile except Kyu Jong! But there is a method behind this madness: we are giving individual profiles to members of idol groups who have 1. released a solo album AND 2. done promotional work for their album. So, people who have only released digital singles and who have not done promotional work will not get their own page. Okay, I feel better now. I had to make sure that all the Pretties knew we weren’t neglecting Kyu Jong!